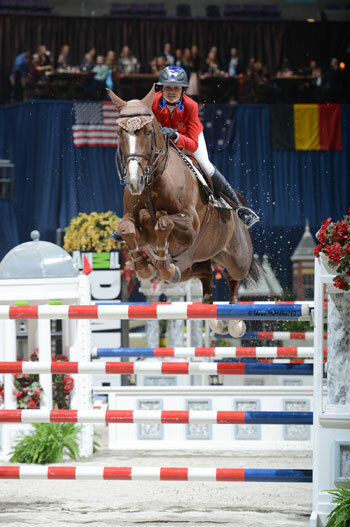 WASHINGTON (April 17, 2013) - The Washington International Horse Show, one of the world’s most prestigious equestrian events, has reached an agreement with Monumental Sports & Entertainment (MSE) to extend its run at Verizon Center in Washington, D.C. through 2016. The Washington International, now in its 55th year, attracts more than 20,000 spectators to the six-day show, which includes Olympic-level competition along with community and charity events. More than 500 top horses and riders come to D.C. from all over the globe to jump for nearly half a million dollars in prize money. Event highlights include the Puissance high jump competition on Military Night (Friday), the $100,000 President’s Cup Grand Prix (Saturday night) and Kids’ Day (Saturday), a free, fun and educational community event. In 2012 WIHS had a positive economic impact of $8.9 million on the District of Columbia according to a report compiled by Stephen S. Fuller, Director of the Center for Regional Analysis at George Mason University. 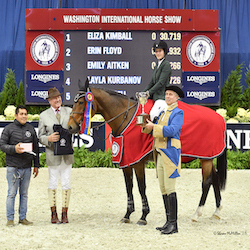 “Despite challenging economic conditions, the Washington International Horse Show has been able to show a steady increase in contributions to the city since 2008,” said Fuller. An equestrian tradition since 1958, the Washington International Horse Show is the country’s leading metropolitan indoor horse show. Top horses and riders from the U.S. and abroad, including Olympic champions, compete for almost half a million in prize money and championship titles. About 500 horses participate in show jumping, hunter and equitation events during the six-day show. Special exhibitions, boutique shopping, Kids’ Day and educational and community events round out this family-friendly show. Washington International Horse Show Association, Ltd. is a 501(c)(3) nonprofit charitable organization headquartered in Washington, D.C.
Verizon Center is a 20,000-seat multi-purpose sports and entertainment venue, owned and operated by Monumental Sports & Entertainment (MSE), in downtown Washington, D.C. The arena is home to three professional sports teams, also owned by MSE, which include the NBA’s Washington Wizards, NHL’s Washington Capitals and WNBA’s Washington Mystics. MSE also oversees management of Kettler Capitals Iceplex, the state-of-the-art training facility for the Capitals, and George Mason University’s Patriot Center. Hosting an average of 220 events per year, inclusive of games, concerts, family shows and world-class sporting events, as well as home games for the NCAA’s Georgetown Hoyas men’s basketball team, Verizon Center sits at the heart of a $7 billion redevelopment of downtown Washington, D.C., that began 15 years ago when the arena opened.